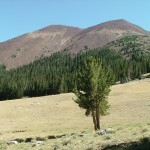 Over 50 species have been noted at Horseshoe Springs in Skull Valley. There are several types of fish in the water, some of which are Large Mouth Bass, Carp and the tiny, darting Mosquito Fish. West of the Stansbury Mountains there is a strange and mysterious place called Skull Valley. Its openness offers a nice escape from the hustle and bustle of everyday life. Several interesting spots in the valley are accessible to residents and visitors year-round. During summer, I like to explore the high mountains, but when autumn and winter arrive, I turn my attention to the lonely wastes of the West Desert. They possess their own charm if you slow down and open your mind to the possibilities. One such charming place is called “Horseshoe Springs.” The name itself is interesting, as it evokes thoughts of the Old West and pioneer history. 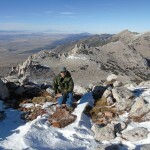 To get there, take Interstate 80 west from Tooele Valley and just after passing the point of the mountain, take exit 77. 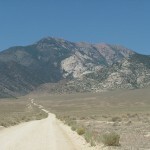 Turn left, pass under I-80 and then head south on SR-196 — also known as Skull Valley Road — for approximately 10 miles until you see a low knoll on the left or east side of the road. As you approach the knoll, look for a Bureau of Land Management sign that identifies a short, gravel access road down to Horseshoe Springs. I use the word “gravel” loosely because the chunks of rock in the road are larger than gravel — but that is a good thing because it makes the road passable even in wet conditions. The access road leads to a parking area with interpretive panels that tell about the significance of the place. Horseshoe Springs was a novelty to 49ers and other early emigrants and explorers on the California Trail, because it was a deep pool of water in an otherwise barren desert. But the springs’ water is brackish and undrinkable. The list of famous persons who have passed by the springs is long and includes John C. Fremont, Kit Carson, the Donner-Reed Party, Capt. Howard Stansbury, Langsford Hastings and hundreds, possibly thousands of emigrants on their way to California in the late 1840s and 1850s. Beyond the springs’ historical significance, the surrounding saline wetlands are full of surprises. If you speed by on Skull Valley Road, you’ll never discover them. So slow down, get off the pavement and discover what this place has to offer. First, the BLM, which manages the springs, maintains a boardwalk that begins at an interpretive signboard. To reach the signboard, follow a short trail from the parking area over a small, wooden bridge that spans a fast-flowing, perennial but brackish stream. At the signboard, a boardwalk goes along the south shore of the right arm of the “Horseshoe” shape of the spring. The boardwalk can be followed any time of year and provides access to the spring’s edge where migratory birds, waterfowl and even fish can be seen — in the middle of the desert. According to Utahbirds.org, more than 50 species have been noted at the springs. While there, I have seen large, white pelicans and a Great Blue Heron. There are also several types of fish, some of which are largemouth bass, carp and the tiny, darting mosquitofish. Several websites and documents posted on the signboard describe the fish. The springs are actually a good winter fishing hole for largemouth bass. Imagine how peaceful a winter afternoon would be casting a line into the large pool. Utah fishing license requirements do apply. I say winter because in spring and summer, Horsehoe Springs can be intolerable due to swarms of mosquitoes, gnats and other bugs. The springs are also amazing for several other reasons, one of which is the water remains between 60-70 degrees Fahrenheit year-round. In the winter, steam plumes come off the water and when it’s really cold, steam freezes on the surrounding grasses and causes fog banks, making the place beautiful. Speaking of beauty, if you follow the boardwalk to its end, turn around and look east toward the Stansbury Mountains. The rocky peaks before you are capped by 9,143 foot-high Onaqui Peak, which looms over Muskrat and Broons canyons. This rugged mountain scene is often wonderfully reflected in the north half of Horseshoe Springs. If you continue beyond the boardwalk, the trail turns into a dirt path that skirts the inner edge of the southern half of the spring and disappears into the grasses. If you look southwest, you will have a sweeping, unobstructed vista across the empty valley to the Cedar Mountains. To someone from the eastern United States who is not accustomed to such things, this vast emptiness can be unnerving. There is, however, a melancholy beauty to the place, especially just after sundown. Sunsets at these springs can be spectacular and there are good camping opportunities across SR-196 east of the springs. 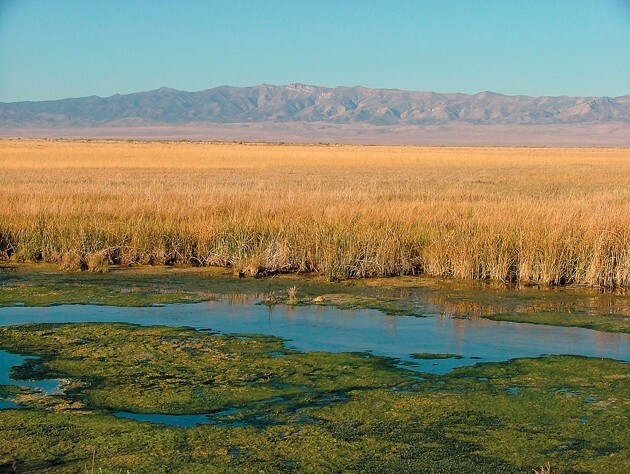 A trip to Horseshoe Springs does not take long from Tooele Valley. It could be coupled with exploring Big Springs at the head of the valley, the old Lincoln Highway that heads south from those springs, and Lone Rock, which you will pass while heading toward Horseshoe Springs. 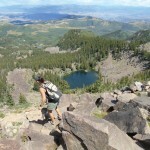 Whichever option you may choose, a trip to Skull Valley can be fun and memorable. For more information on Horseshoe Springs, contact the BLM Salt Lake Field Office at www.blm.gov/ut/st/en/fo/salt_lake.html or 801-977-4300.